University of Maryland (UMD) researchers have found evidence that a common, inexpensive, and safe antioxidant chemical called methylene blue could slow the aging of human skin, based on tests in cultured human skin cells and simulated skin tissue. “The effects we are seeing are not temporary. Methylene blue appears to make fundamental, long-term changes to skin cells,” said Kan Cao, senior author on the study and an associate professor of cell biology and molecular genetics at UMD. The researchers tested methylene blue for four weeks in skin cells from healthy middle-aged donors, as well as those diagnosed with progeria — a rare genetic disease that mimics the normal aging process at an accelerated rate. The researchers also tested three other known antioxidants: N-Acetyl-L-Cysteine (NAC), MitoQ and MitoTEMPO (mTEM). In these experiments, methylene blue outperformed the other three antioxidants, improving several age-related symptoms in cells from both healthy donors and progeria patients. The skin cells (fibroblasts, the cells that produce the structural protein collagen) experienced a decrease in damaging molecules known as reactive oxygen species (ROS), a reduced rate of cell death, and an increase in the rate of cell division throughout the four-week treatment. Next, Cao and her colleagues tested methylene blue in fibroblasts from older donors (>80 years old), again for a period of four weeks. At the end of the treatment, the cells from older donors had experienced a range of improvements, including decreased expression of two genes commonly used as indicators of cellular aging: senescence-associated beta-galactosidase and p16. The researchers then used simulated human skin to perform several more experiments. This simulated skin — a three-dimensional model made of living skin cells — includes all the major layers and structures of skin tissue, with the exception of hair follicles and sweat glands. The model skin could also be used in skin irritation tests required by the Food and Drug Administration for the approval of new cosmetic products, Cao said. The researchers also used the model skin to test the safety of cosmetic creams with methylene blue added. The results suggest that methylene blue causes little to no irritation, even at high concentrations. Encouraged by these results, Cao and colleagues hope to develop safe and effective ways for consumers to benefit from the properties of methylene blue. The study was published online in the Nature journal Scientific Reports on May 30, 2017. This research was supported by the Maryland Innovation Initiative. Oxidative stress is the major cause of skin aging that includes wrinkles, pigmentation, and weakened wound healing ability. Application of antioxidants in skin care is well accepted as an effective approach to delay the skin aging process. Methylene blue (MB), a traditional mitochondrial-targeting antioxidant, showed a potent ROS scavenging efficacy in cultured human skin fibroblasts derived from healthy donors and from patients with progeria, a genetic premature aging disease. In comparison with other widely used general and mitochondrial-targeting antioxidants, we found that MB was more effective in stimulating skin fibroblast proliferation and delaying cellular senescence. 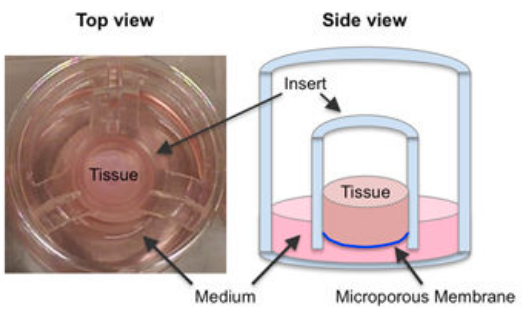 The skin irritation test, performed on an in vitro reconstructed 3D human skin model, indicated that MB was safe for long-term use, and did not cause irritation even at high concentrations. Application of MB to this 3D skin model further demonstrated that MB improved skin viability, promoted wound healing and increased skin hydration and dermis thickness. Gene expression analysis showed that MB treatment altered the expression of a subset of extracellular matrix proteins in the skin, including upregulation of elastin and collagen 2A1, two essential components for healthy skin. Altogether, our study suggests that MB has a great potential for skin care.